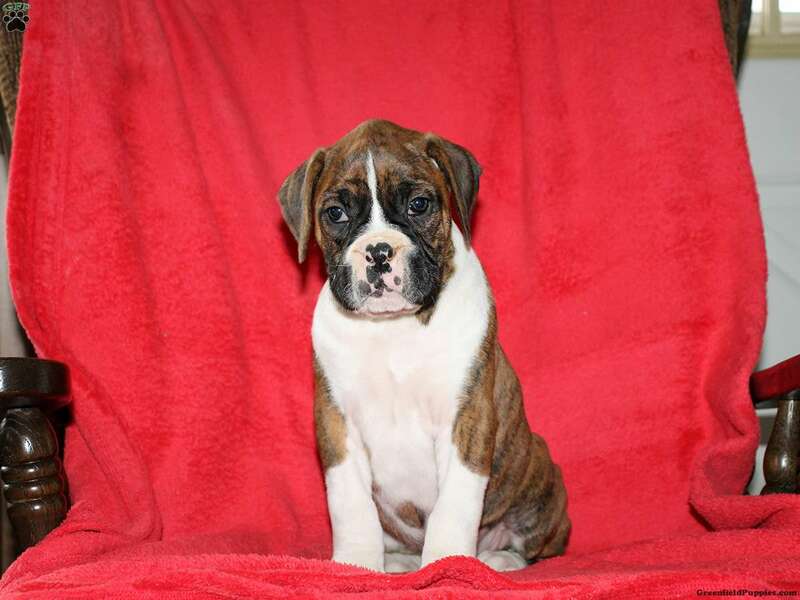 Lyle is a charming Boxer puppy who is great with children. He is family raised and has a laid back personality. This sharp fella is vet checked and up to date on vaccinations and dewormer. 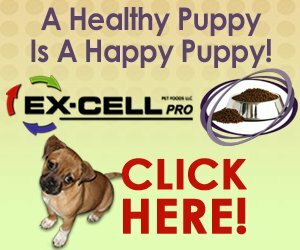 Lyle can be registered with the AKC plus comes with a health guarantee that is provided by the breeder. If he is the puppy you have been searching for, please contact Amos today. 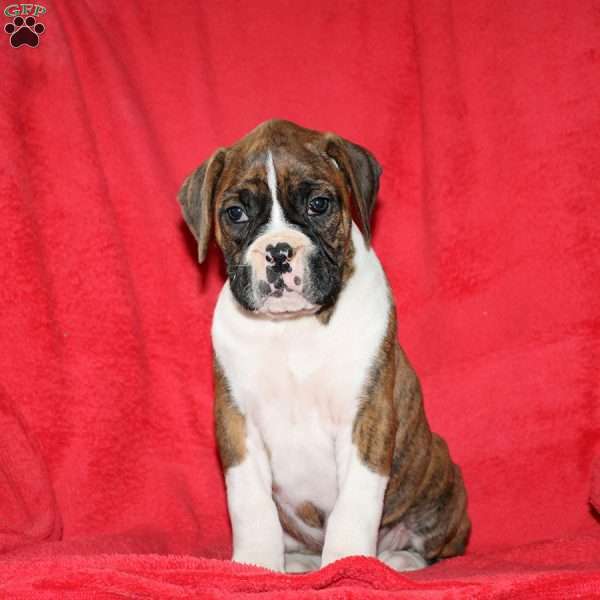 Amos Smucker Jr. is a breeder located in Quarryville, PA who currently has a litter of Boxer puppies for sale. They are family raised with children and can be registered with the AKC. To learn more, please contact Amos today.